What makes Precor's treadmills superior? With a history that dates back more than three decades, Precor has long been one of the most trusted names in the fitness industry. Their exercise machines are widely used in commercial settings, and have a rock solid reputation not only for quality, durability, and longevity, but also for innovation. 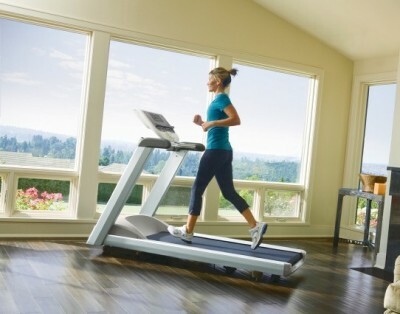 In fact, Precor's past is peppered with innovative milestones, including the development of the first ergonomically correct rower, the creation of brand new categories of fitness trainers with their Elliptical Fitness Crosstrainers (EFX) and Adaptive Motion Trainers (AMT), and the launch of the Preva Networked Fitness system.